"Professional management in media relations, non-profit management, event planning and developing appropriate solutions for community involvement"
Judianne Atencio is the owner of ProLink Sports LLC, a Denver-based Public Relations and Marketing group focusing on philanthropy. 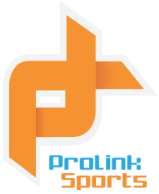 Experienced in public relations at the Fortune 500 level and with non-profit organizations, ProLink Sports manages your unique message and the spotlight-oriented demands of a professional sports career. Fully knowledgeable in non-profit tax laws, reporting requirements and regulations related to charitable grants, and operation of public charities.